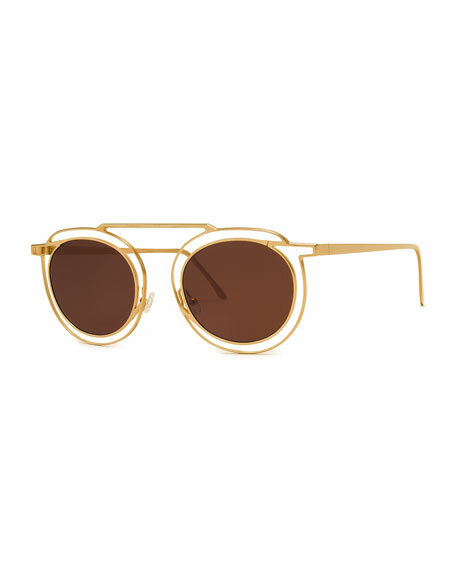 Thierry Lasry "Potentially" sunglasses in metal. Cutout detail at frame front. Straight brow bar; adjustable nose pads.